Every May 27 we mark Rachel Carson Day – a visionary scientist, campaigner and author of The Silent Spring. This Rachel Carson Day we are sharing our FPTP toolkit. Please share! Ongoing awareness raising is vital, given the decades of resistance by the ‘cancer establishment’ (government, research breast cancer charities and industry) to address the issue. As part of this effort earlier this year, in February, we met again with senior staff at the leading UK breast cancer charity Breast Cancer Now. Our primary task in our discussions with the organisation remains two-fold: to keep the pressure up for them to acknowledge the overwhelming scientific evidence that links environmental and occupational risk to breast cancer and leading on from that, to carry this information in all their public-facing information materials. We argue it is to deny women the full picture on breast cancer risk to be ‘airbrushing’ this aspect of the disease out of the picture. And government too, needs pushing. Over the past 12 months, as part of the Brexit debate, we have been part of the lobby to ensure the UK stays inside the EU Chemical Regulatory regime known as REACH. Helen Hayes MP has been incredibly supportive of our work on this. Last October, she hosted our Westminster Portculllis House event ‘Brexit and Breast Cancer’, and she recently submitted a Written Parliamentary Question on this same issue to Secretary of State for the environment Michael Gove on behalf of From Pink to Prevention and our partner The Alliance for Cancer Prevention. There are ever more studies linking everyday exposures to harmful chemicals to ill-health, including breast cancer. And more of the public are becoming aware of the problem, often in spite of the mainstream – be it the ‘pinking’ of breast cancer and superficial (or worse, biased) media reporting in relation to risk factors, or the failure of both breast cancer research charities and government cancer plans to include or address environmental and occupational risk factors. Rachel Carson could clearly see why these deliberate omissions will, in the end, take their toll on the health of all living creatures. Here, Margaret Atwood’s articleon why Rachel Carson is a Saint. Stopping Breast Cancer Before It Starts. From Pink to Prevention asks breast cancer charities, government and industry to act upon the evidence linking environmental and occupational links to breast cancer. 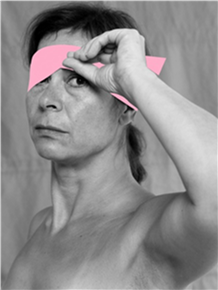 Join us in asking Breast Cancer Charities to Remove the Pink Ribbon Blindfold and Ask the Big Question! Please sign and share our petition. From Pink to Prevention is licensed under a Creative Commons Attribution-NonCommercial-NoDerivatives 4.0 International License. This license allows non-commercial use and sharing of all material on this website as long as it is unaltered in any way and is accompanied by accreditation of its source.